Sorting recyclable items at the Southeastern Oakland County Resource Recovery Authority's material recovery facility. Recyclable plastics on a conveyor belt on the way to be bundled in bales. 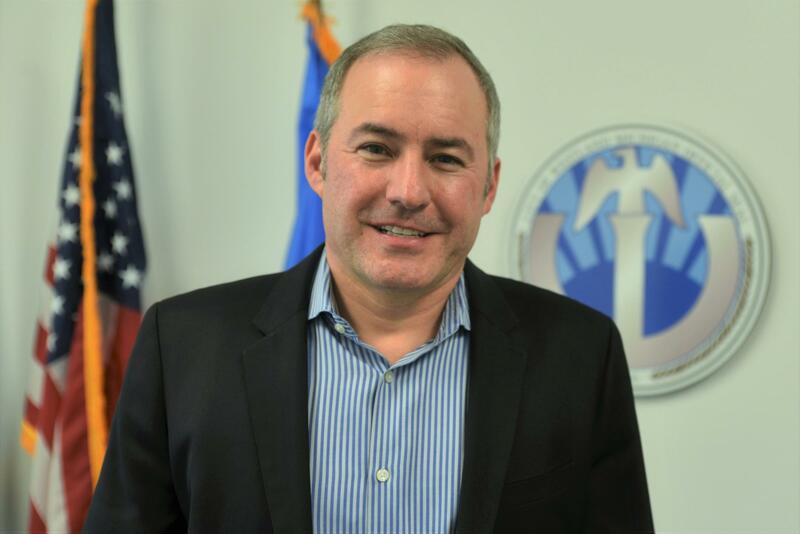 Jeffrey McKeen is the General Manager of Southeastern Oakland County Resource and Recovery Authority. He's standing in front of a bale of recyclable paper ready to be shipped. Initial sorting at SOCRRA. While the machinery can sort some material, much of the work is done by hand. “This guy here is looking for water bottles or that type of material and that goes into the bin. Everybody else is looking for something different,” he said. McKeen is the General Manager of the Southeastern Oakland County Resource Recovery Authority –called SOCRRA for short. “We have 12 member communities. All the recycling from those 12 communities comes here for processing,” he noted. The price increases for taking recycled goods to the market is just beginning to be felt for this area of the state. “I put my budget together right now for our next fiscal year. We're on a July 1 fiscal year basis. And we're not going to make as much money as we had hoped from the sale of our materials. So we have to factor that into our rate for next year,” McKeen explained. 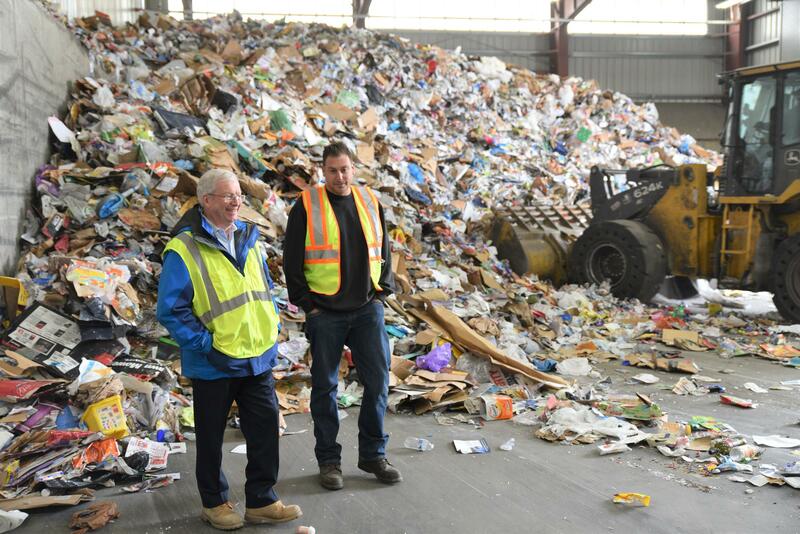 SOCRRA General Manager Jeff McKeen and Supervisor Lucas Dean stand near a pile of recyclable material brought to the materials recovery facility. Instead of crediting communities, actually sending money back to each municipality, SOCRRA might have to start charging the cities a little money. They’re actually lucky. Some cities don’t have anywhere to turn at all as rates for recycling processes cost the same, but the market prices go down. “Well, there are not a lot of options unfortunately. The capacity like we have here for sorting recycling is pretty limited in this area,” he said. The Wayne County city of Westland is one of the hardest hit. William Wild is the city’s mayor. “We found out back in February that our rate, which was at the time was eighteen dollars a ton to recycle, was going to, in 30 days, move to $80 a ton,” Mayor Wild said during an interview at Westland City Hall, itself a recycled Circuit City. Westland had a month-to-month contract. As market prices for recyclable material drop, the city’s costs for pick up and processing more than quadrupled. Westland, Michigan Mayor William Wild. The City of Westland has a high rate of participation among its citizens in the recycling program and it didn’t want to lose that. Mayor Wild looked into a temporary solution, sending recyclable material to the waste-to-energy incinerator in Detroit. The Westland city council did not like that idea. It voted it down. In the end, it didn’t matter. The incinerator closed just a few weeks later. Now, Westland is simply sending its recyclables to the landfill. “Longer term we're talking with other communities in western Wayne County about pooling our volume together to try to create a Wayne County recycling authority or a western Wayne County,” Wild said. He added if that doesn’t work, Westland hopes to be part of a proposed Washtenaw County materials recovery facility. Westland residents are not happy about sending recycled material to the landfill and officials are getting lots of angry calls. But they’ve asked residents not to get out of the habit of recycling because they say they’ll find a better solution sooner or later. “I was hoping that they wouldn’t just abandoned it, but I'm pleasantly surprised that our volume is still about the same while it is being landfilled. I think they know that we are looking for other opportunities,” Wild said. Some cities around the state have longer term contracts. However, when those contracts expire, those towns also might face much higher costs. Communities are going to face some tough decisions, pay more or stop recycling. 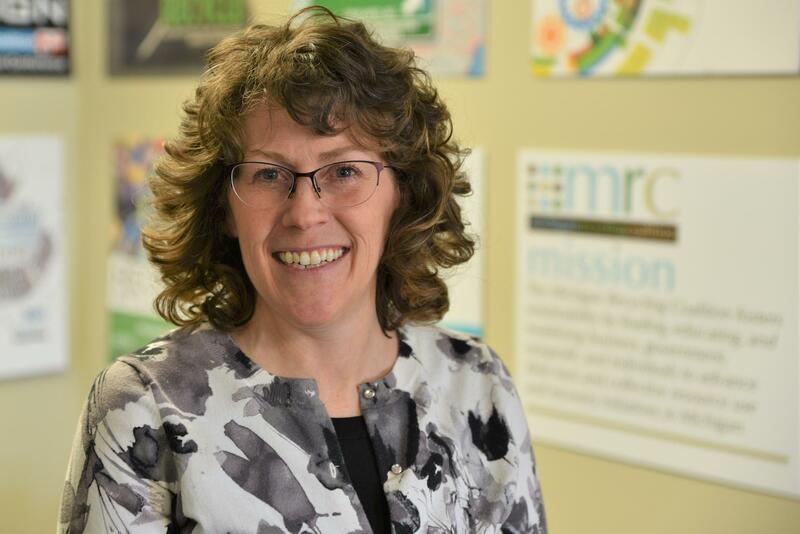 Kerrin O'Brien is the Executive Director of the Michigan Recycling Coalition (MRC). 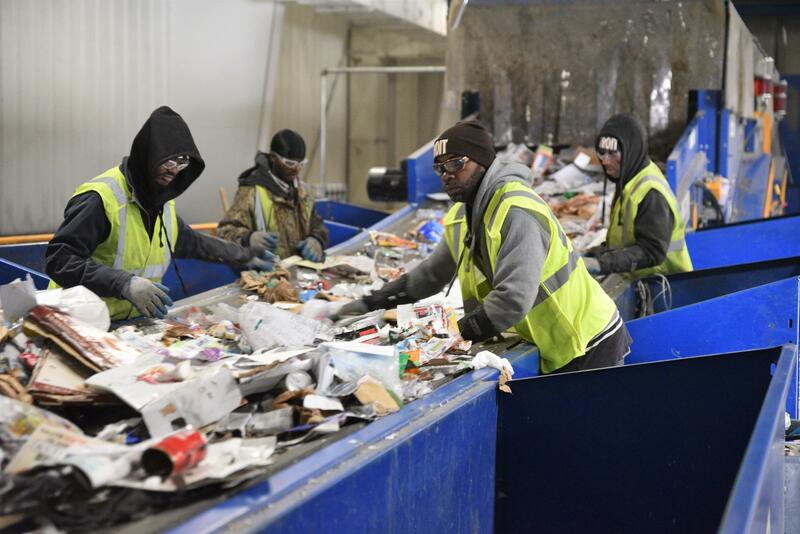 "I think that's what we're seeing when cities want to back away from those services because they really are trying to figure out how to pay for those increases," said Kerrin O’Brien, the Executive Director of the Michigan Recycling Coaltion. But many people feel really good about recycling. It makes them feel as if they’re actively doing something good for the planet. O’Brien thinks they’ll be willing to pay a little more for the privilege of curbside recycling. She also thinks people should start thinking about the packaging they’re bringing into their homes. "The sheer volume of materials at the end of their life that we dispose of is ever increasing. It's not going down with the advent of plastics and disposables and single serve containers and all that kind of stuff. And I hope that as we make decisions professionally and personally, that we make decisions to be better stewards of ourselves," O'Brien said. Recycling in Michigan will undergo massive changes in the coming months and years. How that plays out is mostly left to the state's residents and their municipal leaders. The Michigan Department of Environmental Quality is offering communities grants to help start recycling programs. The total amount approved for the grants is $500,000. Bryan Weinert of Recycle Ann Arbor says the money won't go far, but it's at least a start to improving the state's "embarrassingly" low recycling rate. The national average for recycling is about 30%. Michigan is at about 15%.